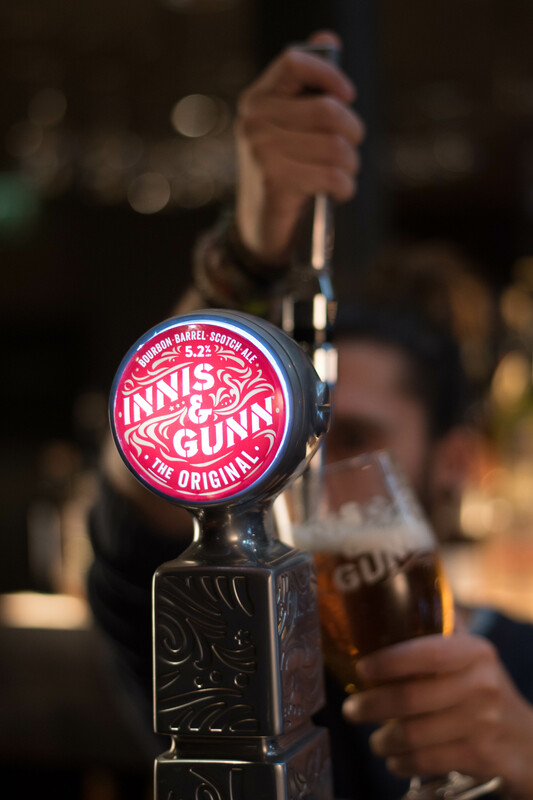 As confirmed in Canadian Beer News this morning, Innis & Gunn, the Scottish-based independent brewer, and Brunswick Bierworks of East York, Toronto announced that Brunswick will brew core I&G draught brands for the local market. The parties state this will enable the draft, all currently imported, to be shipped to local accounts faster and fresher. I&G’s famous barrel-aging will be followed for brands that receive such treatment including I&G’s marquee, The Original. Brands covered by the arrangement include Gunpowder IPA and Lager. 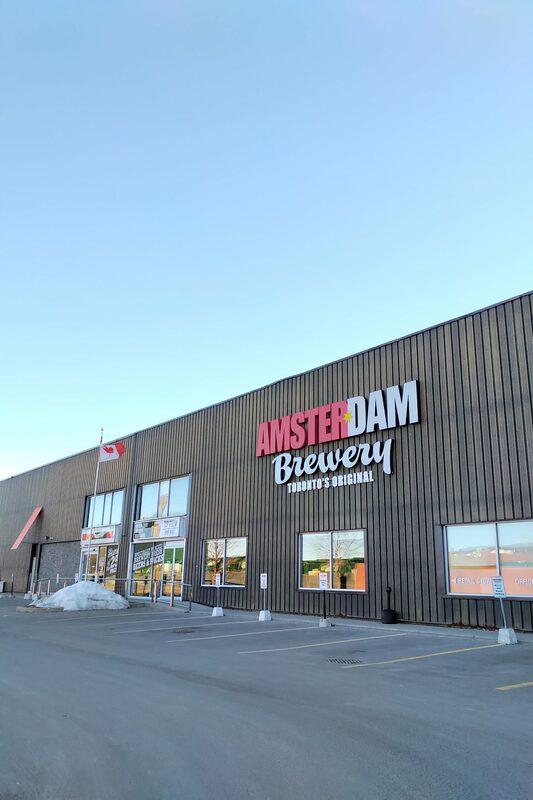 The deal is expected to further brewing collaborations between I&G and Brunswick; there were a couple in the past for the Canadian market, but more should follow. As someone who regularly tries I&G products and has studied their innovations with barrel aging, I welcome the announcement. Today a beer can find a new home and taste like it does at the originating brewery. It’s not like 30 years ago when international, or indeed any, contract brewing was a more chancy proposition. In 2019, technical ability and global logistics are such that given the will and investment, a beer can (almost always) be recreated in a distant location with great fidelity. I&G and Brunswick have pledged their utmost to ensure this result. Given the sophistication of the Brunswick Bierworks, which I have toured, I don’t doubt this will happen. Certainly the closer a bar is to source of supply, the better off the consumer. One reason: it’s less likely the beer will be pasteurized, tightly filtered, or processed in a way that extends shelf life but may diminish flavour. We enjoy the core I&G products and look forward to trying them in their “Toronto” iteration. Anglo-German beer since the 1700s at least has been significantly reliant on barley malt, with English beer later adopting sugar and other malt substitutes for a relatively small part of the mash. Germany has kept the tradition of all-malt for lager or bottom-fermented beer, at least where sold domestically, but allows non-malt additions for certain top-fermented specialities including porter. Germany has a long tradition of top-fermented wheat beers. In recent times the Bavarian or weizen style, a blend of barley malt and wheat malt, dominates in that category, itself quite small in the total picture. Weiss beer in the Berlin style has survived even less well but craft breweries have given it a fillip (as for the Bavarian style). Weiss also relies on those two malts but usually in different proportions. Weiss also uses a lactic acid ferment in conjunction with top-yeast, which Bavarian wheat beer does not. Other German styles that use wheat in the mash and are related to weiss beer have continued such as Pinkus Münster Alt, or been revived again by craft brewers. The term wheat beer at least outside Germany generally connotes the Berlin or Bavarian type. Belgian wit, an often-spiced wheat style that employs barley malt and, frequently, unmalted wheat, is not relevant to our topic but we mention it for completeness. The case of lambic and its unique spontaneous fermentation is not dissimilar – related but too distant for present purposes. Below we discuss some under the radar weiss history in the U.S. especially after Prohibition, with glances further back as well. Numerous similar ads appeared in 1949-1950. Of particular interest is this full page ad which explains how weiss quality was maintained in the scientific brewing age. The ad appeared in the same Greenfield Recorder-Gazette, in June 1950. Before WW 1 most weiss beer was unfiltered (see Wahl & Henius cited below) and almost certainly unpasteurized as a result. The beer had notably a gassy reputation which we think was assisted by continuing maturation in bottle. In the ad above Hampden explains that an engineering firm in St. Louis helped it perfect pasteurization, evidently for the two brands pictured, one of which is the weiss. This separate ad is even more specific on the value of the process viz. the weiss brand. The concern was probably to ensure all residual yeast in the bottle was rendered inactive while preserving the delicate flavour of a wheat-based beer. Now, pasteurization was not new in 1950 including for beer. But the ad explains that the process was improved via a method of quickly cooling the beer after heating, a feature claimed as unique. This probably enabled modern weiss to be pasteurized yet retain its pre-Prohibition taste qualities. Amazingly – or to us it is – the company that developed the system still exists, under the same name, in St. Louis: Barry-Wehmiller. Now a multi-billion dollar concern, it is run by the son of the man who bought the company from the owner in the period discussed (see website for this background). In fact we think it likely the Hampden weiss beer recipe resides somewhere in Barry-Wehmiller records. Hampden Brewery according to a couple of reliable brewery timelines, e.g., this one from Old Breweries, started as William Brierly Brewery in 1878. 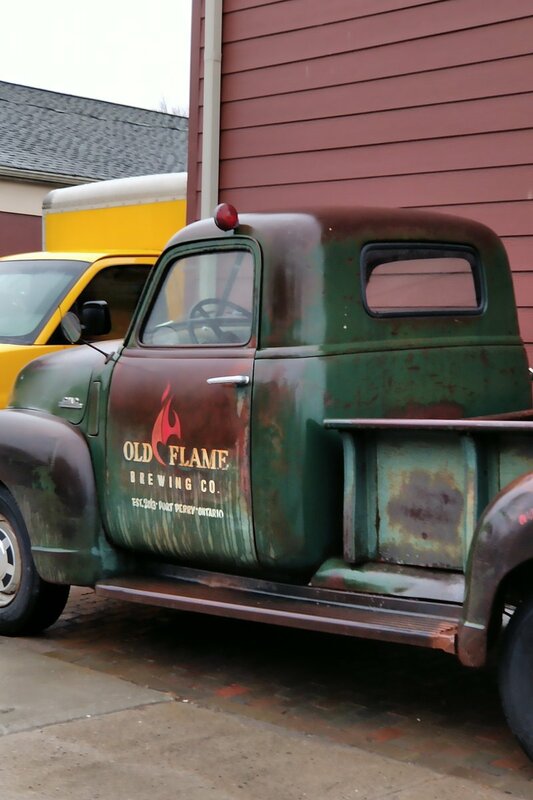 It was revived after Prohibition and merged later with Harvard Brewery in Massachusetts and Piels Brewery in New York, closing forever in 1975. Hence the current CEO of Barry-Wehmiller, who joined the company in 1969, may well have dealt with the successor of the c.1950 Hampden. You knowing the saying, from an (aptly 1951) novel by William Faulkner, “The past is never dead. It’s not even past”. Very little attention has been focused on this early post-Pro weiss beer. The only other reference I’m aware of is Tavern Trove’s commendable listing of the brand and reproduction of a label, see here and here. Tavern Trove has the weiss in the market from 1950-1956, but clearly it was first sold in 1949. Wahl & Henius’ c.1900 American Handy-book of the Brewing, Malting and Auxiliary Trades, at pp. 817-820 , covers American weiss beer and then the Berlin form. The authors seem to consider American weiss an emulation of the Berlin style, not the Bavarian style, albeit Wahl & Henius do not mention the lactic acid bacteria signature of Berliner Weisse. However, it was likely too early as science was only just learning the composition of the mixed Berlin ferments. Many accounts attest to the character of U.S. weiss which I would summarize as, low alcohol* if not sometimes actually a soft drink; gassy; sharp and refreshing. The drink had a lower social status than lager, somewhat akin to early steam beer in California. It seems doubtful that no American brewer before Prohibition made a Bavarian-style wheat beer, but the dominant form of wheat beer was probably the Berlin style. Here you see an early example in 1865 in San Francisco, CA. It is actually called “Berliener weiss beer” but clearly a domestic product. This is not to say genuine Berlin weisse was not imported. In 1897 a dealer carried it in Ohio, see here. Wahl & Henius state that sometimes American weiss employed malted wheat in addition to barley malt, but more often corn grits was used in lieu of the wheat. They state too American brewers often modified Berlin’s mashing and fermentation regimes. As always there were likely different qualities in the market. In fact, if you want to know, a weiss beer from Chicago was awarded first prize at an “international weiss beer contest” held in Berlin, heartland of the style, in 1890. A Paterson, NJ paper, the Daily Guardian, reported the details. This is akin to the famous victory of California wines tasted blind with top French wines by Paris experts in 1976, but never heralded. … at the terminus of the Eighth avenue elevated road there exists several popular resorts. First to be found was the Atalanta Casino, which stands beside the 165th street station of the west side elevated system, which was yesterday afternoon and until midnight thronged with people. They sat at the three hundred tables and drank something that looked very like lager beer, and it tasted very like lager, but as everybody asked for weiss beer and numerous signs displayed on the walls an­nounced that only weiss beer could be obtained, of course weiss beer it must have been. Whatever it was the well dressed and orderly crowd sipped their amber beverage and listened to music… Now and then the programmes were varied by xylophone and cornet solos, or songs, the latter rendered by a young woman who never seemed to grow tired and evidently expected the tumultuous encores which greeted her. The waiters were kept busy supplying the demands of their guests and as fast as a hundred or two left the hall and departed in search of amusement elsewhere, their places were promptly taken by the steady tide of newcomers. Although the Casino has a seating capacity of over two thousand, it was unable to accommodate all who came, so the superabundant crowd went to Kessel’s Manhattan Park, a few doors away. Here were seats and tables for nearly one thousand per­sons, and, like the Casino they were all occupied as the visitors came and went during the day and evening. WEISSBEER LITTLE DRUNK. Weissbeer, once a popular drink In New York, especially among the Plattdeutsch population, has almost entirely disappeared. Here and there in a German neighborhood may be found a saloon which keeps weiss beer on sale, but those who call for it are less numerous each year, says the New York Sun. Weissbeer is a thin lager beer, produced by rapid fermentation. Lager beer is produced by slow fermentation. Both are flavored with hops, but while the saccharine properties of lager beer are developed through the process of manufacture, weissbeer is astringent and it has long been a theory that it is non-intoxicating except when taken in very large quantities. It disappears after Prohibition except – thus far to our knowledge – for Weber Star Bottling’s sales in Albany, NY in 1933 and Hampden’s in the 1950s. In the craft era Anchor Brewery finally revives the style from 1984. Anchor’s revival is a light interpretation, more a wheat ale, without a lactic Berlin or Bavarian clovey-bubble gum character. This page from Anchor Brewery’s website explains the make-up and character. Anchor’s version served as spur to countless craft breweries to make authentic versions of Berlin or Bavarian wheat beer. Today, all these types proliferate in the market with many flavoured and other variations. The drinking public in Truman’s America was probably bemused by Hampden’s reintroduction of an oddball style of beer. It is hard to say at this remove if it was Berlin-style or Bavarian, I incline to the former. To all appearances it made no ripple in the sea of blonde U.S. lager. The country was just not ready. Maybe success would have come had a New York City brewer tried, or one in Chicago, former strongholds of the style, but this is far from clear. What might have turned the ship was an influential beer writer, someone performing the role Michael Jackson et al. later did. 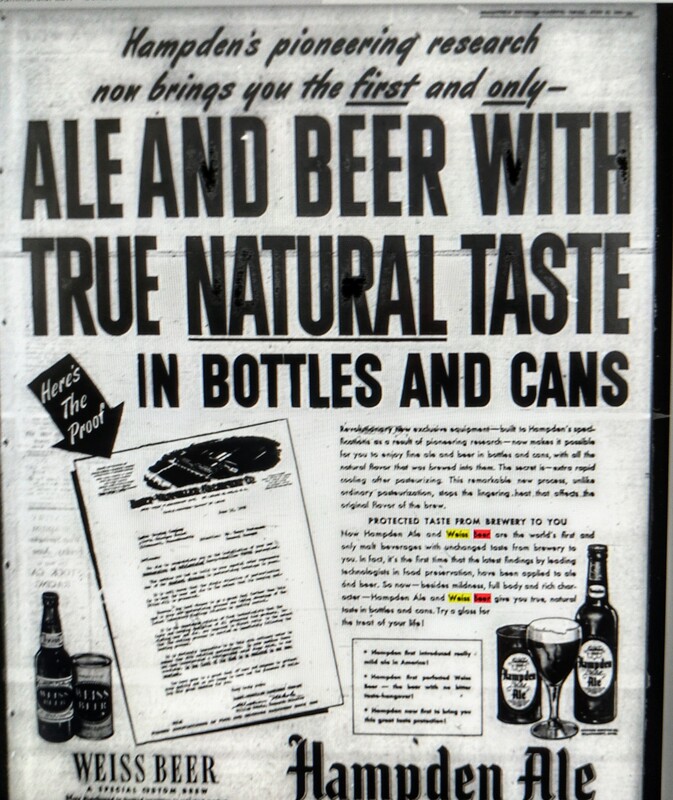 In the 1950s he or she was nowhere to be found, indeed consumer beer writing as a genre did not exist. This is not to say weiss beer was unknown in pre-Jackson, 1960s and 1970s America. It was, as an import. I’ll return to this. Speaking of le petit maître, as one obituary termed Michael Jackson for his stylistic innovations, if you want a primer on wheat beer Michael Jackson’s Beer Companion (Duncan Baird, 1993) is the premier place to start. Note re images: the first two images above are sourced from Fulton Historical newspapers as identified and linked in the text. All intellectual property in the sources belongs solely to the lawful owner, as applicable. Images used for educational and historical purposes. All feedback welcomed. *Between 2 and 3% alcohol, probably by volume not by weight, accordingly to analyses performed on seized goods in 1917. This is consistent with Canadian parliamentary testimony at the end of the 1800s, see here. 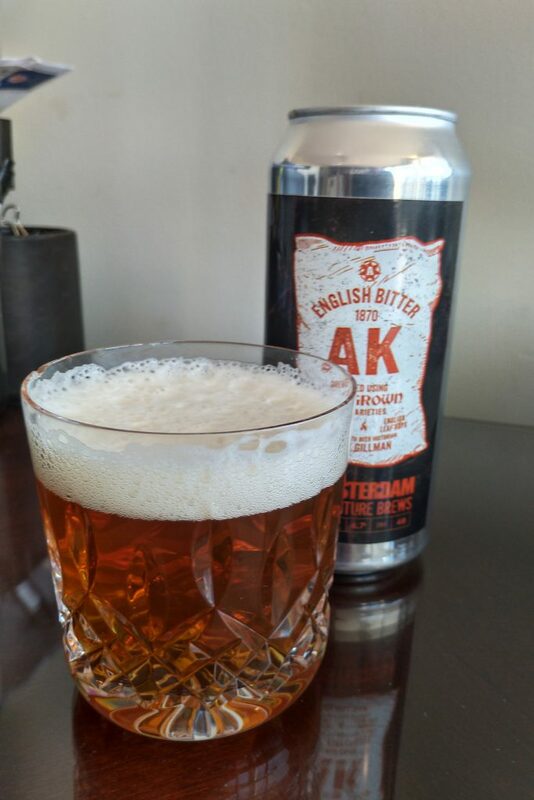 Last night the 2019 version of 1870 AK Bitter was released at Amsterdam BrewHouse on Laird Dr. in Toronto. This is the second year of a collaboration between me and Amsterdam Brewery, a pioneering Toronto craft breweries. The recipe is based on a recipe in an 1870 issue of English Mechanic and World of Science, see here. At the launch the beer was served on both nitro dispense (a la draft Guinness) and regular, carbonated keg. No cask-conditioning was done this year. We did some “cask” last year and elected to try nitro’s soft carbonation as an alternative for Mark II. This year we used Chevallier malt from Crisp in England, and whole leaf Kent Golding hops from Charles Faram there. Both varieties existed in 1870. In contrast, last year we used Maris Otter malt, Whitbread Goldings, and Fuggles hops. None of these existed in 1870 but are all of traditional U.K. type. This year, an English yeast (Wyeast 1099) was used, last year, a California one. Last year, the idea was to use the hops in amounts close to the 1870 directions and basically showcase the English ingredients. This year, the same, but we went deeper to choose barley and hops in place in 1870, as far as can be done, that is. In 1870 pale malt was kilned by direct-fired ovens using anthracite coal or coke for fuel. This gave malt a slightly “cooked” taste, but modern malt uses clean indirect heat. Read this page in full from English brewing scientist Charles Graham in 1874 to understand this historical taste and his contrast with air-dried malt, from a series of lectures he gave, the Cantor Lectures. This is just one example of many inevitable differences between Victorian brewing and modern brewing, as no malt today is kilned with coal to our knowledge! But that doesn’t mean we can’t get close to what they did back then. It’s certainly worth trying, not to mention being a stimulating and educational experience. In both year’s version of 1870 AK Bitter only one malt was used as required by the 1870 directions, which is atypical today for English bitter, a descendant of 1800s AK and IPA. Modern English bitter and IPA often use pale malt with caramel malt, and sometimes sugar, too. We used no caramel malt or sugar as the recipe didn’t call for it, and in fact caramel malt did not exist then at least not in commercial form. The taste of 2019 AK Bitter is very pure, with a honeyed quality and perfumed (rosewater?) herbal intensity from the hops, especially if you drink it half-chilled at best. Some tasters gave an analogy of black tea. It’s what I call rosewater, some Orange Pekoe tea, or other tea, has it. The beer is sweetish (1014 FG) in a different way than modern bitter though. The lack of a caramel or fudgy note is the main factor due to absence of caramel malt. And the absence of sugar means a fuller malt taste. Craft pale ales can have similar malt properties but almost none in North America use similar hops AFAIK, especially leaf hops! Very few bitters that I tasted at the Great British Beer Festival last August had this degree of hop taste, in fact, which I put down to the quantity of hops used, mainly. Final gravity: 3.7 P. (1014) vs. target of 3.5 P. Some homebrewers report similar slightly higher attenuations with Chevallier. IBUs: 40 vs. mid-30s last year. Goldings Alpha Acids: 2.8%, quite low. We used equivalent of 2 lbs/bbl, + 1 lb/bbl dry hopping but there is no great aroma. We forecast that as all the boil hops went in at start of boil per the recipe which states to add the hops “as soon as possible”. Not all bitter or pale ale has to have pungent aroma, and not all did in the past. We felt 2 lbs/bbl fresh hops would equate to 3 lbs/bbl (minimum) per 1870 recipe as author stated to blend fresh and aged hops, a common practice at the time (but not invariable). All beer as last year, except for the cask portion last year, centrifuged for keg and cans (a rough filtration). Last year when tasting cask and carbonated keg side by side at equal temperatures I couldn’t detect much difference, FWIW. I think temperature of consumption is the main factor in palate intensity. In sum, an excellent “A/B” to explore facets of the historical pale ale taste. With so many subjects and limited time, a number of topics for the usual space today. It is common currency in American brewing history that weiss beer disappeared after Prohibition. That is to say, the old top-fermented wheat beer, widely available before WW I (even though not always made with wheat), was not revived by brewers after Repeal. 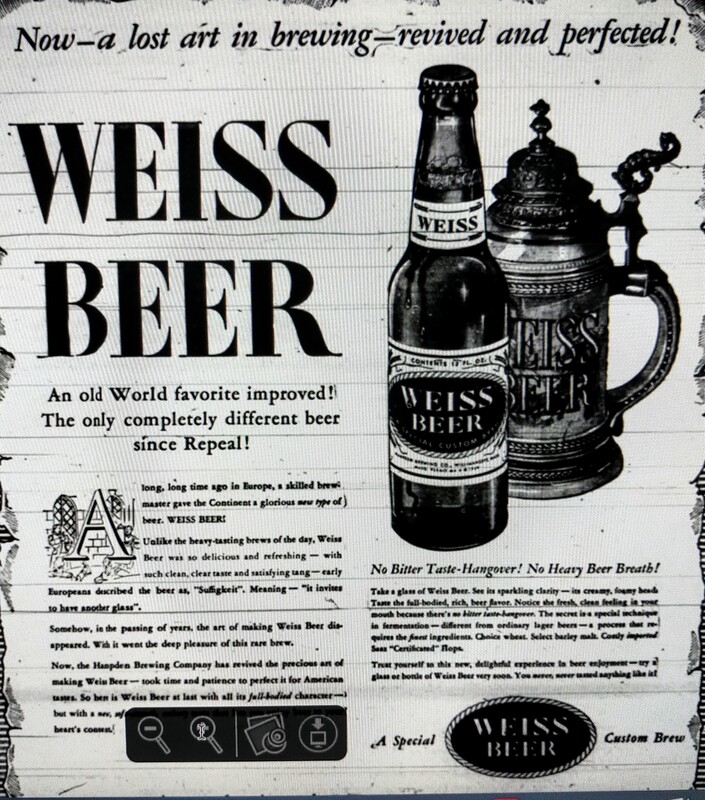 As one former customer in Buffalo mused (1938), “whatever became of weiss beer”? Yet it was not for a lack of trying. With a new brewing landscape in 1933 Weber Star Bottling, connected to a venerable weiss producer in Albany, NY, advertises tentatively. The ad copy is not 100% clear but it seems the weiss was being sold again. For background on the pre-Prohibition Geo. Weber, see Gravina and McLeod, here. … Weiss Beer [is] … so delicious and refreshing — with such clean, clear taste and satisfying tang— early Europeans described the beer as, “Suffigkeit”. Meaning — “it invites to have another glass”. Somehow, in the passing of years, the art of making Weiss Beer disappeared. With it went the deep pleasure of this rare brew. Now, the Hampden Brewing Company has revived the precious art of making Weiss Beer — took time and patience to perfect it for American tastes. So here is Weiss Beer at last with all its full-bodied character. In this post I documented the use of green or wet hops in early English brewing. This was centuries before Sierra Nevada and other craft innovators introduced their wet hop beers a few years ago. Recently I found a page on Jess Kidden’s site about Tempo Beer from Blatz, mid-1950s. Blatz touted the beer as not made with the usual dried hops but rather fresh hops. Reading the account carefully, this was probably a steam-distilled hop oil, not wet hops as we understand it today. Ballantine Brewery in New Jersey used something similar after Prohibition. As early as 1871 an American patented a method to distill hop oil for use in brewing. While not the same as wet hop brewing Blatz deserves marks for giving hop oil, or likely it was that, commercial application; and for marketing it as an innovation. Blatz was trying to stand out in a challenging market for regional brewers. Yet, the product to our knowledge was a damp squib; as for weiss beer, postwar America didn’t want to know. Discussions continue endlessly online on the meaning of craft (beer) past, present, future, I saw at least three this month. 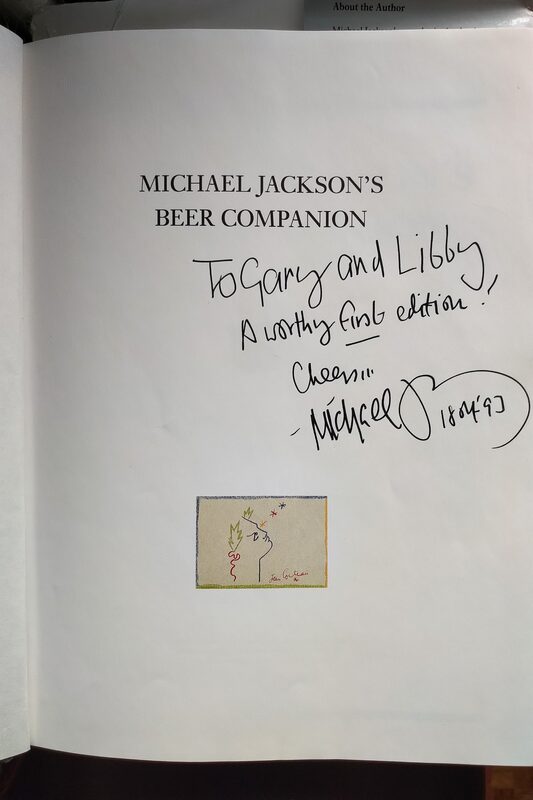 In this recent post I drew attention to Michael Jackson’s pioneering use of the term “craft brewery” in 1982 in reference to an old family brewery in England. 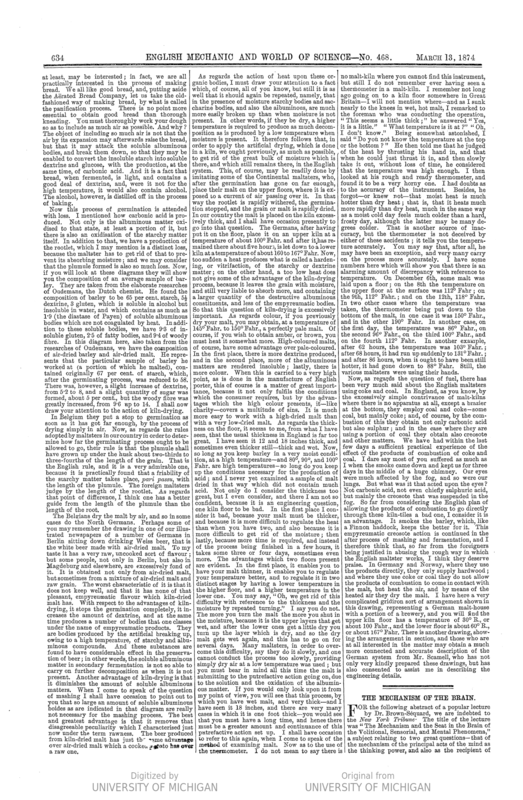 Due to his elucidation of the phrase and the way American writers later used it, it acquired a connotation of small-scale, limited distribution, high quality. But as I stated myself in the Comments, “craft” is used in discussions of brewing much earlier. In 1909 Heileman Brewery of Chicago described its beers as “the triumph of the brewer’s craft”. Its lagers were almost certainly made with grain adjunct, in an up-to-date plant. By 1902 Heileman was no upstart, it had operated for decades and was brewing upwards of 200,000 bbl per year. 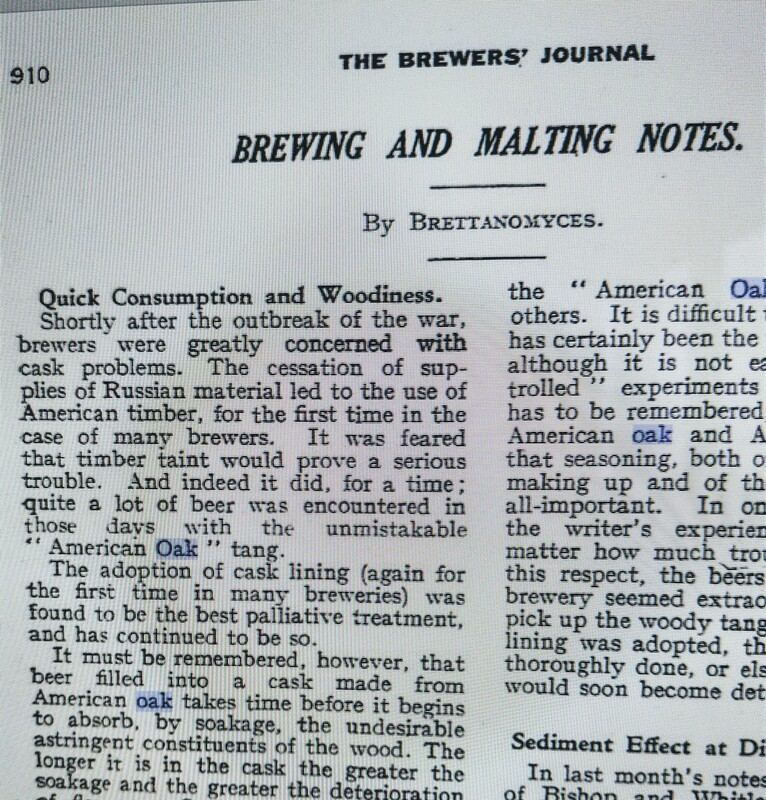 There are continual references to the term brewer’s craft in the 1800s, e.g. here in Britain in connection with a German brewing school, and indeed stretching back to Henry V’s time in 1421. It’s a hop and skip from that to “craft beer”, “crafted beer”, “an honoured craft”, etc. The influential Jackson charted a path that led finally to the Brewer’s Association conception of craft brewery. But given the wider history and continual evolution of technology and scale I’d regard any well-made, full-flavoured beer as “craft”. Pilsner Urquell is a craft beer because the recipe and process result in – are crafted to produce – a high quality product. Small brewers have unquestionably formed the vanguard of quality brewing since the 1980s but came to notice by virtue of making distinctive, quality products, not by being small and feisty as such. 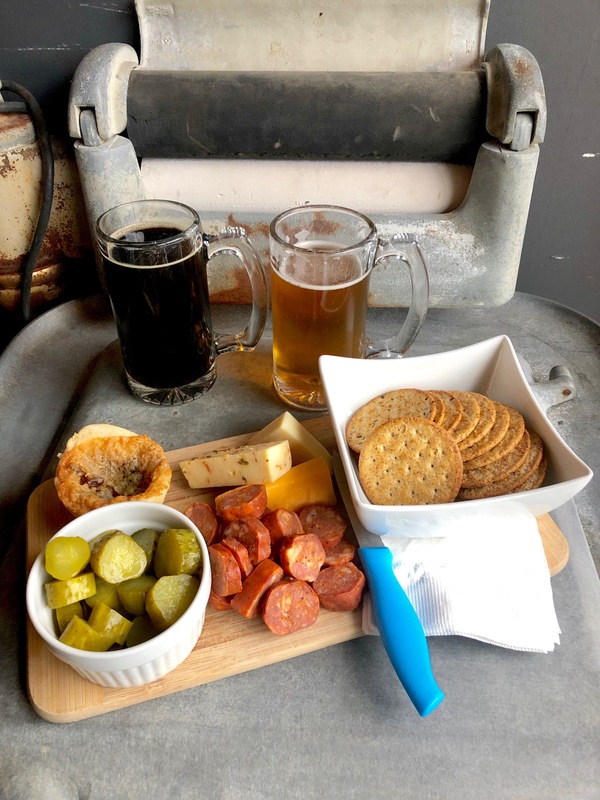 Some small brewers make products styled to the mass market, for example, and some of them would disavow the term craft or are indifferent to it. 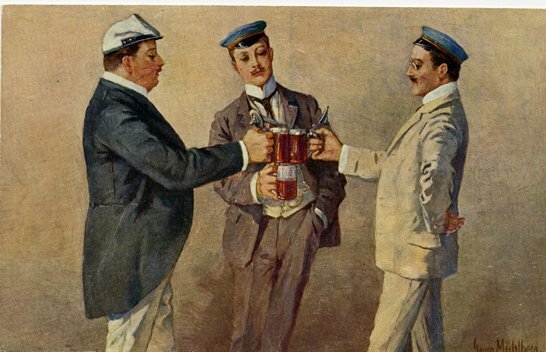 19th century literature affords countless examples of uninhibited beer drinking, mostly in Germany. * The quantities gotten down often seem staggering. This was partly due to German beer having lower average alcohol than today, but maybe too men were built differently. An interesting example appears in the U.S. press in 1898. Two brewers were working for the same firm (not stated) in Union Hill, NJ. They were of German origin or the older one was, Mathias Sommermann, 50. They vied in a contest for biggest beer bibber. The winner was Mathias. He got down 88 glasses of beer, specified as half-pint measure or eight U.S. oz. His much younger opponent, George Bertrand, stopped at 82 but also ate a huge amount of food. Given that Mathias had almost 30 years on Bertrand he was dispensed from eating, clearly. Even if some foam is allowed, and even taking the beer at 4% ABV, that is an amazing amount of beer. It’s the equivalent of a couple of two-fours (58 beers @12 oz., 5% ABV. Take off 20% for 4% ABV, hence about 48 bottles). There is a note of pathos in the account as the winner’s wife did not approve Matthias’ involvement in the contest. Piteously, she tried to drag him away, without success. Looking at who brewed in town in 1898 and for how long I’d think the brewery was William Peter. Compare the drawing of Sommermann in this related account to the men in the William Peter staff photo in Jay Brook’s account of the brewery. Is Sommermann in the second row, second from last to the right? Or if not, is he in the top row holding (appropriately) a glass of beer? It is one of them I think, probably the former. The staff picture seems 1880s era judging by William Peter’s appearance. In 1898 Sommermann had worked in the brewery for 20 years, and William Peter started brewing before 1878, so it kind of fits. Young contestant Bertrand ended on the sickbed from the caper but seems to have survived. He blamed the cigars and beef, natch. And Mathias? Fit as a fiddle, and not apparently drunk (?). Certainly he seemed hale in the drawing mentioned. A little zaftig, but nothing that would stand out. How did he do it? 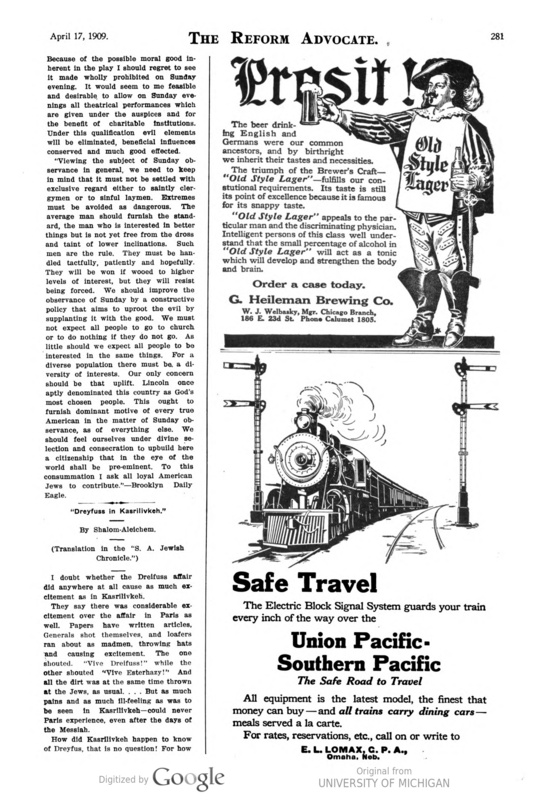 Note re image: the image above is from the HathiTrust digital library as linked in the text. All intellectual property therein belongs solely to the lawful owner, as applicable. Used for educational and historical purposes. All feedback welcomed. *See eg. this travel report of reckless student drinking at 256-257.